17 for 2017: Are the lines blurring? Wow! What a year 2016 was… some people are calling it the worse year in recent memory (although I suppose that mainly depends on which side of the political fence you sit), but the long list of celebrity deaths, economic turmoil, hacking controversies, acts of terror and natural disasters were enough to make us all breathe a collective sign-off relief when the New Year’s fireworks went off to signal the dawn of 2017. So what does the year hold for the Gulf region’s PR and communications sector? Many industry experts have given their predictions for the year, but as a specialist recruiter in this field, I will seek to offer my opinion on what we can look to expect. Social media was brought to the fore as Donald Trump’s outspoken Twitter feed and the proliferation of “fake news” arguably played a large role in his success and Hilary Clinton’s downfall in the presidential race, but this was in the US and fortunately not really an issue that affects us in the Middle East. Closer to home the rise of the social media “influencer” has seen the dynamics of the PR game change. Brands are choosing to reach their target audiences directly through brand ambassadors and bloggers and even those with a relatively low engagement rate can command rates of several thousand dirhams per post. Ultimately this helps to funnel revenue away from traditional media advertising, which can result in closures of publications, with Exhibit A being the recent axe of the much loved 7 Days. Obviously there are a lot more factors in play, including tough market conditions hitting ad spend, but it does play a part. Fortunately we are seeing the green shoots of economic recovery with increased positivity from market experts, rising oil prices and new projects being announced e.g. Dubai Harbour, so fingers crossed companies will have bigger budgets to play with this year. Lots of smaller boutique agencies have popped up over the last 12-24 months, and these, as well as the more established ones, are challenging the more well-known, international players and projecting positivity that there is enough budget to go around. Video content grew in popularity with more mediums as ever for brands, celebrities and individuals to express themselves and consumers, especially the younger generation, preferring to consume images and video on the go more than reading lengthy articles. Our friends over at Markettiers, which specialise in broadcast PR and video content, are seeing a real increased appetite for this kind of medium. This trend is set to continue into 2017. But how do PR pros measure and quantify Snapchat and Instagram stories, which can pass by in the blink of an eye and do they really represent value for money if brands are paying influencers for the privilege? PR professionals and companies need to be on their game more than ever to keep up with the changing pace. Lines are blurring between industry sectors and when I speak to my clients and colleagues, it is apparent digital, advertising, media, content and PR agencies are all being asked for some element of what the others traditionally specialise in. For me I’m seeing PR agencies investing more in digital and creative production staff and functionality. Those who don’t move with the times are at risk of being left behind. 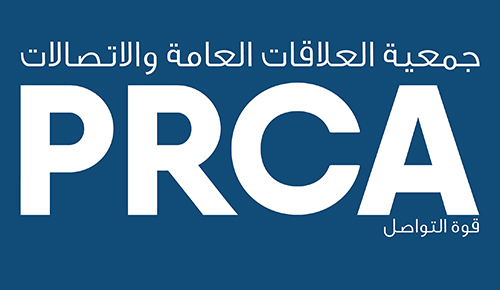 The communications industry has arguably never been more dynamic and I for one am fascinated to see the trends, innovations and of course viral videos, which will make up 2017.
https://prca.mena.global/wp-content/uploads/2016/09/PRCAMENA.jpg 0 0 prcaadmin https://prca.mena.global/wp-content/uploads/2016/09/PRCAMENA.jpg prcaadmin2017-01-05 14:45:232017-01-05 14:45:2317 for 2017: Are the lines blurring?